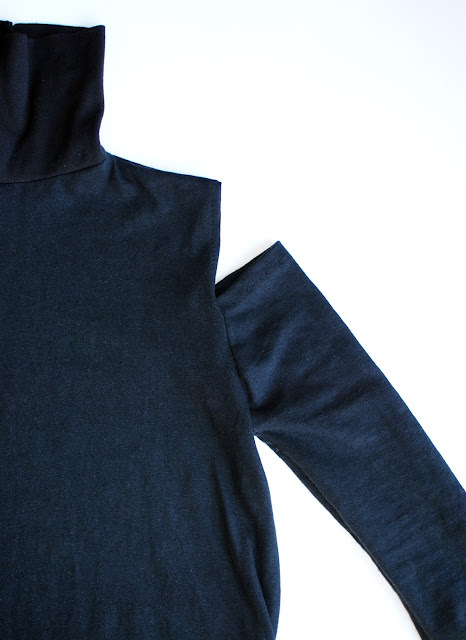 As a designer it’s now more important than ever I create my clothing using organic fabrics. The fashion industry is the third most polluting industry in the world and it’s time to stop the waste. Many hear the word organic and usually think food, but did you know that fabric can be organic too? It’s just as important to pay attention to our fabric choices like it is the food we eat. It doesn’t mean you have to make all your clothing using organic fabrics, but you should invest in companies that do make clothing from organic fabrics. Why? Well thanks to Organic Cotton Plus they have all the information you need on this topic. Many don’t understand how fabrics can be organic and why? “Organic cotton is grown using methods and materials that have a low impact on the environment. 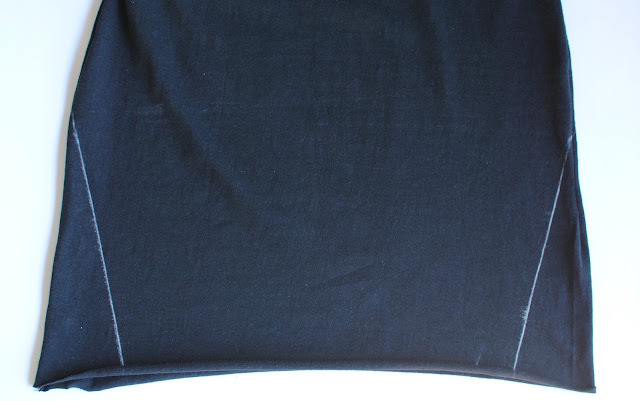 Organic cotton is grown without the use of toxic pesticides and synthetic fertilizers." Not only are they creating fabrics the right way, Organic Cotton Plus is the only online fabric retailer that has been able to achieve a GOTS certification. "GOTS is the "green" standard to which Organic Cotton Textiles are produced." Organic Cotton Plus isn’t just cotton, they have a variety of other materials like hemp which is something I’ve been interested in trying. 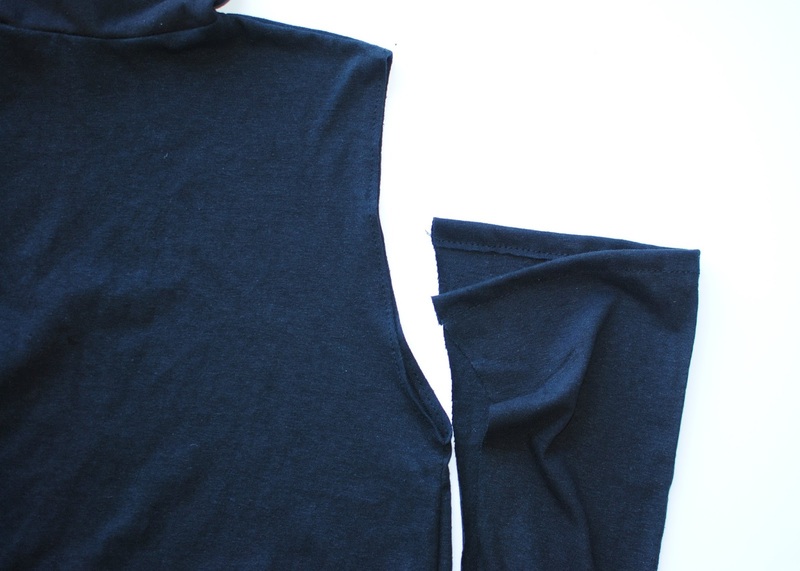 I chose their hemp knit in black for this DIY tutorial. What I like is it’s a heavier knit but still soft and perfect for fall and winter projects. 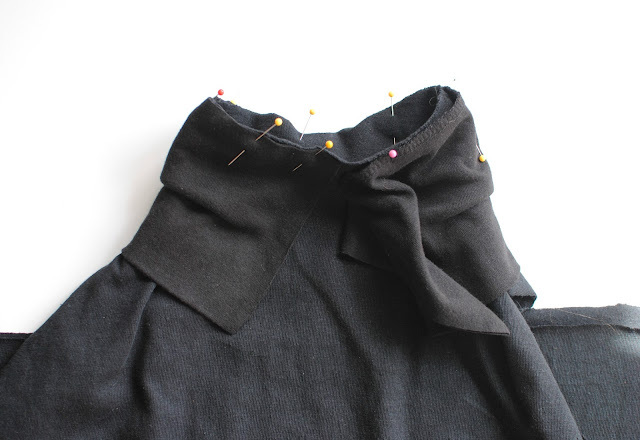 In this tutorial I show you how to make a patterns from already made clothing into a turtleneck, split side seam hem, and open shoulder cut outs. Organic Cotton Plus has a wide varitey of notions from thread, zippers, lace and eco-dyed trims, hemp cording, webbing and more. It’s a one stop shop for me. 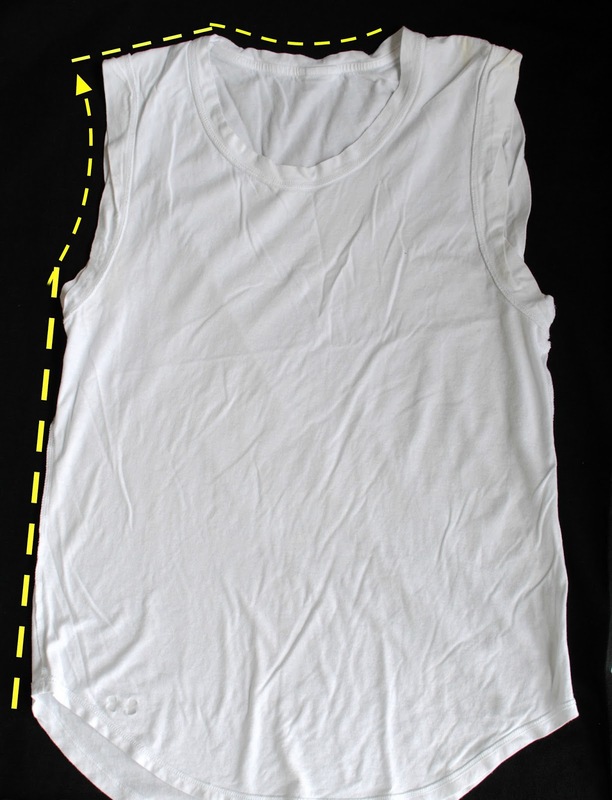 Use a tshirt with cut off sleeves for the bodice pattern. I actually save clothes just for patterns like this if I like the fit. 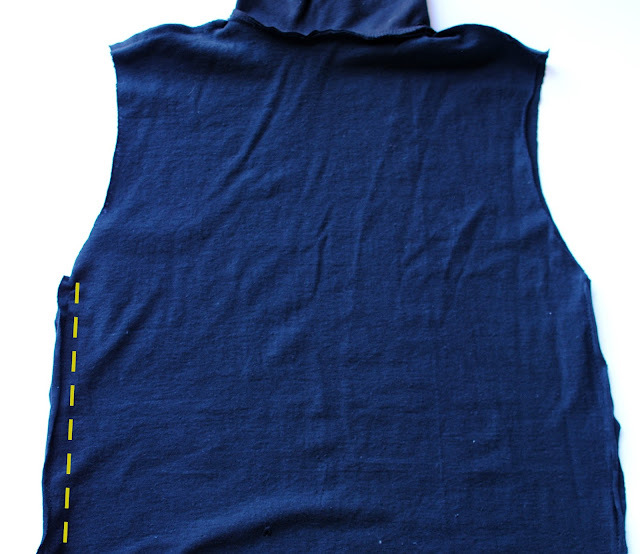 Cut 2 front and back with a 1/2 inch border for seam allowance. You will want this to be a high neck so only follow the back collar like the photo shows for front and back. 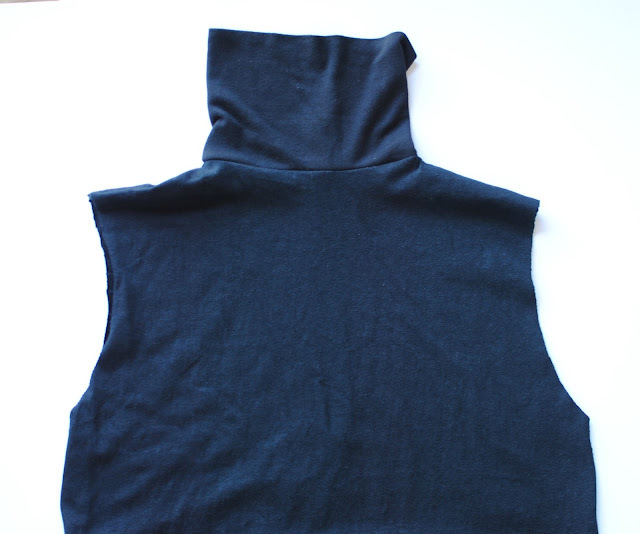 Turtle neck piece: strip of 22in. x 12in. 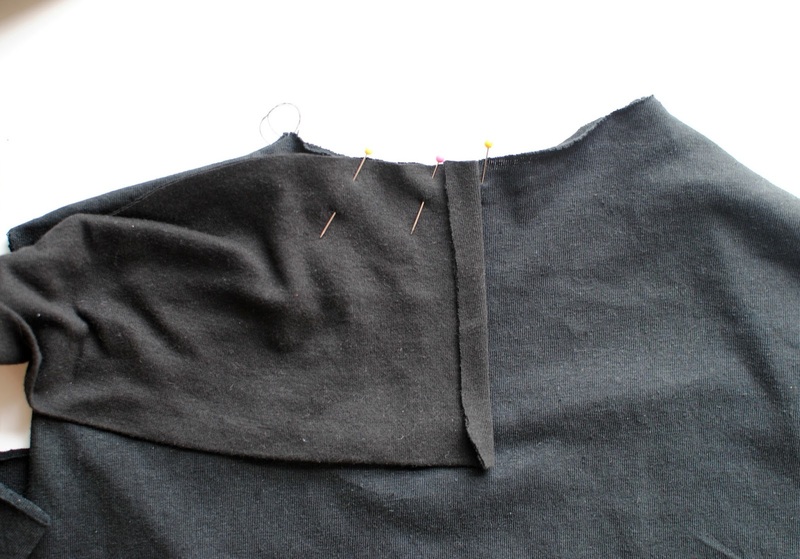 Flip bodice inside out and sew the shoulder seams. 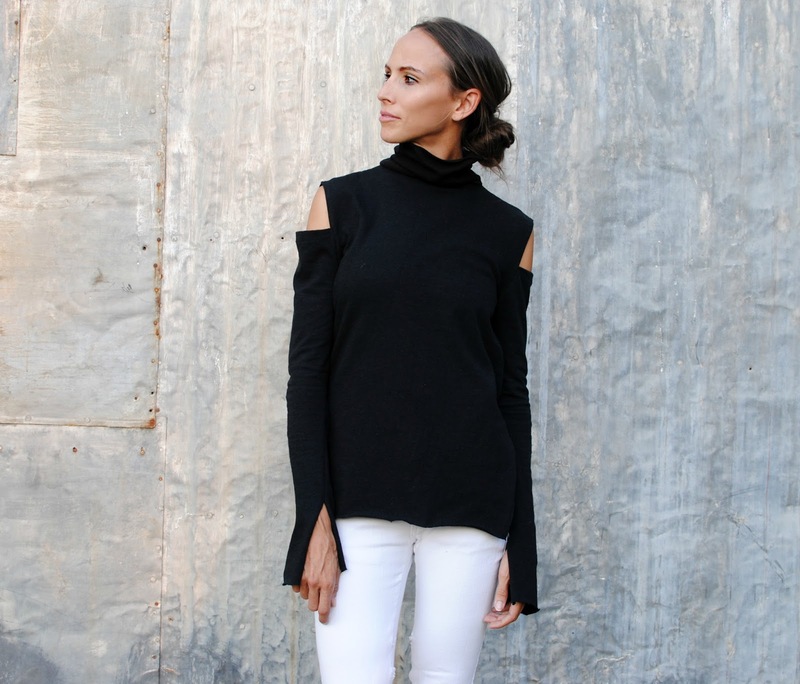 Fold your turtle neck piece in half long ways. 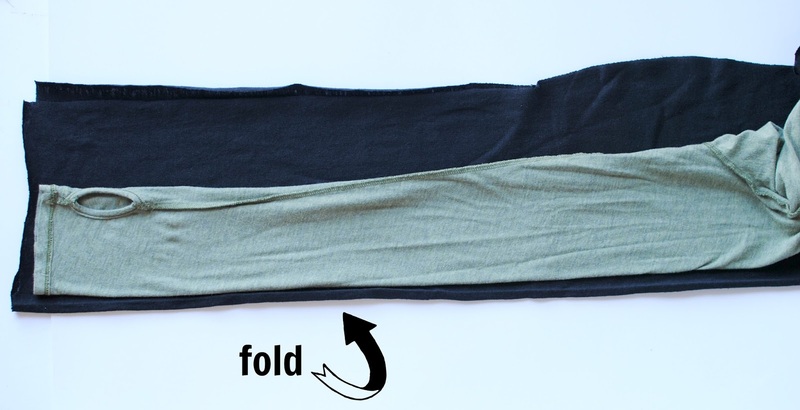 The folded edge will be your top edge. 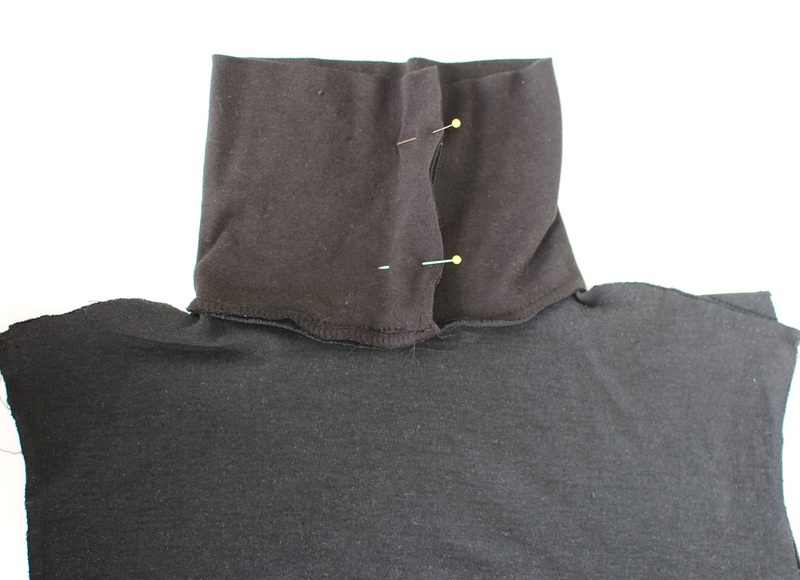 You will leave at least 1/4 inch over so you can attach them together like I did with the little folded part.
. With right sides together pin starting in the middle of the back collar line and pin all the way around back to the same point. 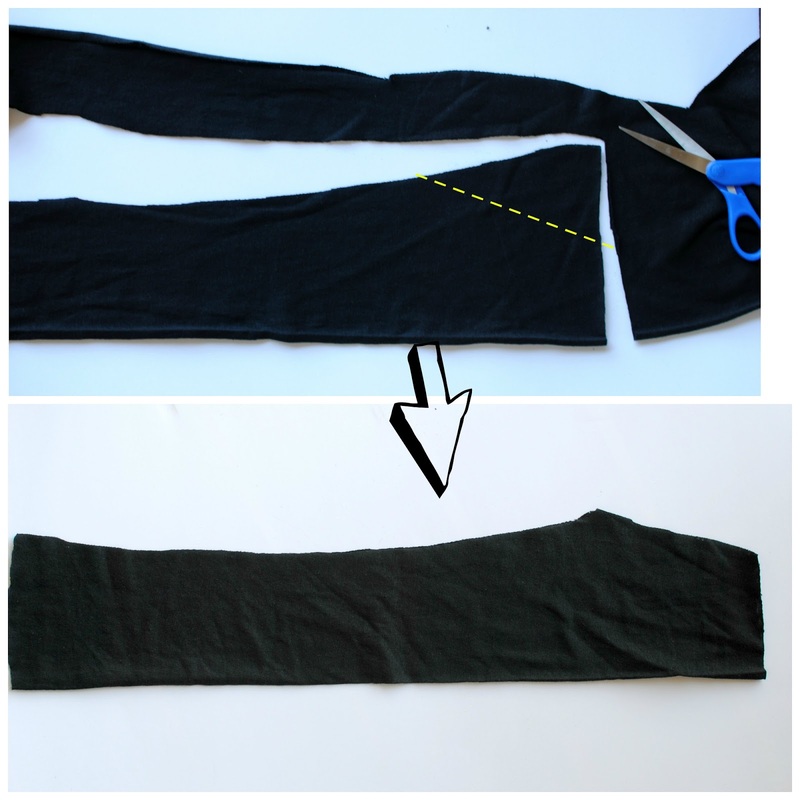 For the "cold shoulder sleeve" you will use another sleeve for the pattern. I leave 1/2 inch extra for seams allowances. Instead of creating a normal curve sleeve cut a straight line across and then another as shown in the photo. 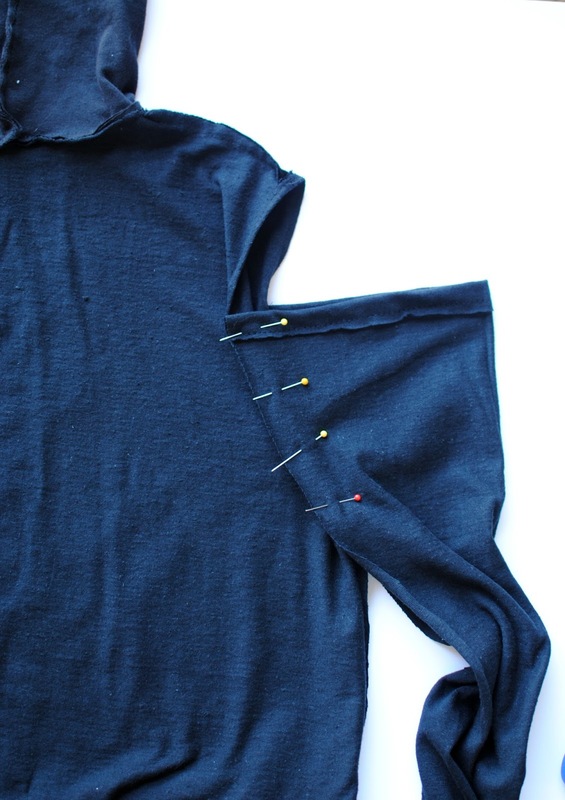 Now finish the edges of the arm hold and the sleeve top. 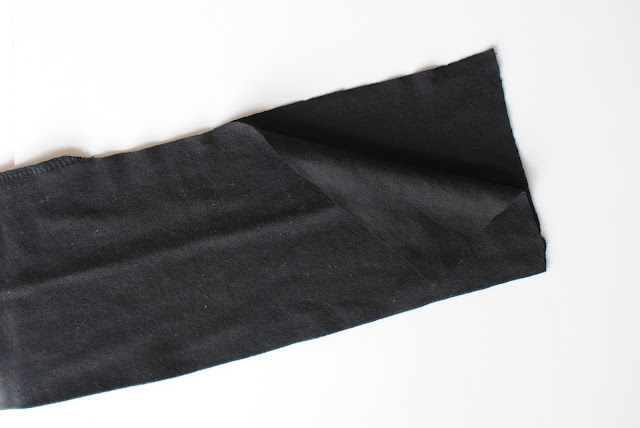 I just folded mine over 1/2 inch and sewed along the edge. What's great about this hemp is it doesn't wave so it made perfect hems. 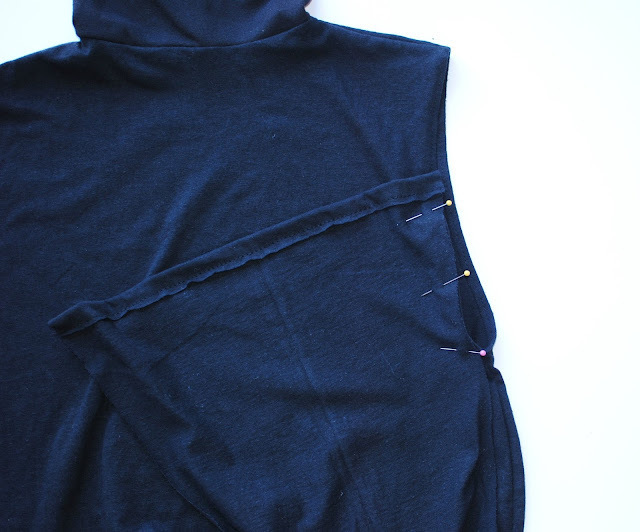 About 1/2 way up pin the sleeve along the arm hole and sew right sides together. Flip inside out and do the same thing for the back. 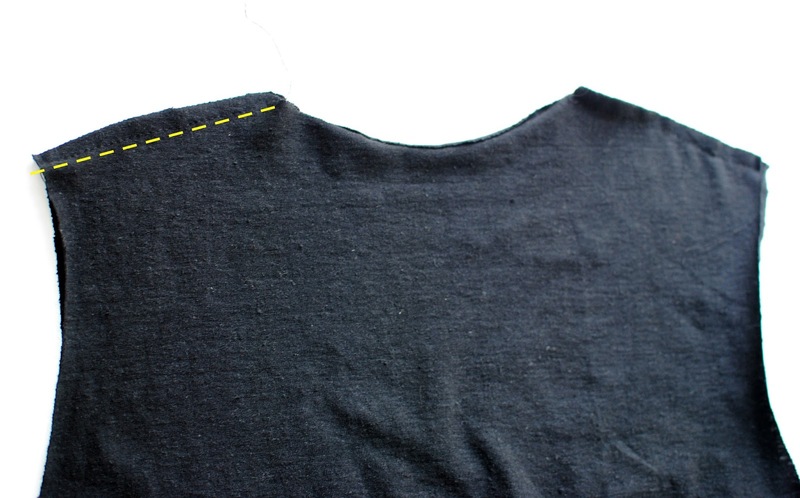 To create the split side seams use a ruler and mark up as high as you'd like them to be in a diagonal slant. Cut right along the markings and finished the edges. I also cut the front up a bit higher and left the back longer. I want it!!!!!!! <3 <3 <3 You are an artist!!!!!!! !